« 8:00pm: Does Judaism Encourage Questions? Following Pesach vacation, some 1,500 students in Beis Rivkah will remain home on the day that should have been their first day back. A message from the school blamed the closure on a “financial crisis”. Parents received notification of the Monday school closure in in an automated call late Sunday evening. Financial matters at Beis Rivkah, the largest Chabad girls school, has been an ongoing issue with teachers not being paid in many months. At the beginning of this years school year a new ‘board’ pledged to pay up all owed salaries and pay future salaries on time, a subsequent matching funds campaign successfully raised $1.06 million. Despite the successful fundraiser many teachers were not paid salaries from last year as well as salaries from the current year. How horrible…and SO much notice. Guess I will let Kingston Avenue watch my kids while their parents go to work for tuition. I suggest you get your facts straight before “reporting” non existent “facts”. Mr. Shemtov, I suggest you look at that letter you signed in September and abide by your pledges and commitments to the teachers. That we all know is a fact. how can a school do this. parents work. to leave this to the last minute is unprofessional! enough is enough. what other school closes the last second. Just like there is no more Centralized Rabbinic System . Every SHUL have its own Kehila and its Own Rabbi and guess what ? now is the time every shul should organize and open a School so far we have Bais rivka , Bnos Menachem , bais Chaya Mushka, Lamplighters, now the list should continue. just forget them and start NEW . I am a parent who sends my girls to Bias Rivkah. I pay my tuition on time every month! Both my husband and I work very hard in order to pay that tuition! Their needs to be a sense of responsibility to the parents! Deciding that all of a sudden that their is a financial crisis sound like a bunch of BS! Did BR not know that before Pesach vacation that there was a problem? The parents should have been notified right away before vacation that there might not be school on Monday due to the “Financial Crisis”. Bais Rivka Admins you have got to get it together and stop crying wolf every time you want a big donation from some gevir to save you! You need to show responsibility to the parents! What would the Rebbe say about closing down Torah learning for 1 day? Does a “financial crisis ” justify that? As we talk about education …. I could have written this myself! What would the rebbe say? At the end of the day there is one person who is not sleeping tonight. I will give a few hints. He has single handed built the Builduing on lefferts. He had the vision to buy most of the property on east New York ave for future. Tried to convince other lubavitchers not to sell the day care center to a outside developer but couldn’t get it. I can go on and on but I am sure you can figure it out. With all due respect to the one who won’t sleep, he need to retire [in a responsible and respected way the current administration] for new upcoming school year and put it place a legal board that will get things rolling in the right direction there are enough existing ppl in crown Heights that respect him and would be willing to help if he delegates the power to them. It’s way past time for this to to happen! With all due respect for the great accomplishments, and acknowledging the greatest orator in Lubavitch, it is a matter of priorities. A school can exist without a building. A school CANNOT exist without teachers. The Rebbe’s directives about this are well known, Jewish teachers need to be properly appreciated, and that translates to good pay, and on time! Not paying the teachers properly sends a bad message to the students! Parents don’t pay tuition? Go, work hard and fundraise! There are two other girls schools in Crown Heights that struggle with similar issues (though granted, they aren’t around for as long, so they don’t carry so much baggage) yet they manage, via fundraising or other means. The first order of business is to put good education first, then figure out your other priorities and address them just like everyone else does. If the current administration can not run a full time school, maybe there should be full time program for paying parents and part time program for non paying parents. why should everyone suffer??? What would the rebbe say regarding this,considering everyone knows what is right and what the rebbe wants. Would someone enlighten me. If Bais Rivkah families were to fulfill their current financial obligations and pay the school the TUITION they OWE the school, teachers would be paid; and, on time. Oh really, so why is there always enough money to pay the administration and the Goyim but never for the teachers? The school is to mismanaged.. It is a well known fact that Oholei Torah only gets 40% of its budget from tuition, the rest comes from government grants and FUNDRAISING! Stop blaming it on parents who dont pay tuition,, Those of you who blame it on tuition are part of the problem. You are justifying this despicable behavior on the part of the administrations! I know one girl who was sent home for a month because her parents couldn’t pay…. And it won’t be here… it will be in their gothimist. Only they can turn that financial black hole into a well functioning machine. How many girls are there in BR? I think ALL OF THEM, (including those whose parents pay in full, and those who get funding for after care have) have been sent home EVERY TIME there is a crises. Time to open the books and give an honest accounting of where the money comes from, and where it goes to. Nah. Administrative crisis it is. The “executive director” needs to clean house. Start paying salaries according to performance not according to seniority. The executive board of any company would fire its CEO and CFO. BR do the same. Time to put the older generation into pension and let younger blood take over..
You say “clean house”? Would you like to be responsible for millions of unclaimed / underpaid tuition??! You think the administration is in a great happy posision and where they want to be? When an insider tells you that your facts are wrong, instead of publishing the comment it would be wiser to contact him and see why he is saying what he is saying. Unless facts don’t matter as much as sensational journalism does. wait what “I suggest you get your facts straight before “reporting” non existent “facts”.” that was insider damage control. lol. You couldn’t have written an email or perhaps a more explicit offer to clarify facts, but chose to stamp your digital foot in comment section expecting the website to ‘contact’ you and find out what you’re whining about. I’m surprised the insiders are so ghetto. The last strike that followed the fundraising campaign smeared egg on the new boards face, but the real story suggested that they had been mislead with the funds not being distributed according to their wishes but rather according to those of the hanhola who had control of but did not raise the money. The board looked terrible and that was completely unfair because you guys were and are doing a good job. But you guys did no damage control, at least not in public and allowed your image to be tarnished. And now things blow up, again, and your PR is to leave a flippant comment under the blog post…. Mr. Eliezer Shemtov, fact – school did not open today. 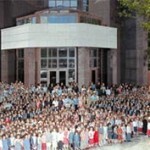 Mr. Eliezer Shemtov, fact – school said it was due to a “financial crisis”. Mr. Eliezer Shemtov, fact – YOU did not. Mr. Eliezer Shemtov, fact – you held a “successful” matching funds campaign which did not bring in the 1 million you lied to the community and said it did. Mr. Eliezer Shemtov, fact – this keeps on happening in your holy fathers school. Mr. Eliezer Shemtov – am I missing something, or are your as reality challenged the way/reason as to why you left your מקום השליחות? No it’s extortion plain and simple. The financial crisis didn’t just suddenly drop out of the sky. It’s timed with when people are putting their daughters to bed and after being exhausted either traveling home from often their parents house… or finally turning over the kitchen after spending all their money making Pesach (often maxing out credit cards) to leave an “oh by the way there is no school message tomorrow” if they had wanted more money before Pesach would have been better as opposed to after people are tapped out and living on left overs. It’s simply done the night before girls are due to go back after being home for a long vacation to put stress on parents who often cannot afford more money and are often up to date with their payments. Yes teachers should be paid, I know what it’s like to be 3 or 4 paychecks behind and get a 1 check that is basically useless and you can’t deposit because your checking account is over drawn or closed. But if you teach at BR you know this is a problem ONGOING. It is nothing but extortion and there is a problem with the way that school is run… managed and the lack of respect they have for the parents and kids. Sad but true. No the Rebbe would obviously NOT want girls to be running around Kingston or parents have to miss work to babysit girls who should be learning Torah and Chassidus and sharing happy Yom Tovim memories. But this is not new sadly for BR so hope whoever they think will pay up comes thru…sad but true. Extortion. There is one girls school in Crown Heights who always pays on time. Even 2 pay checks before Pesach. Must be mismanagement or pure corruption. Why do teachers show up. There is no excuse for such mismanagement. None. i feel like not paying my tuition. There is one girls school in Crown Heights that has always paid on time. Even 2 paychecks before Pesach. Good management. No corruption. Every parent pays fair tuition. No Charity campaign that lines someone’s pocket. Parents and teachers wake up and call for a complete investigation. If smells fishy than it is! Pockets did not get lined with the money raised in the charidy campaign. It simply wasn’t nearly enough to cover the entire back balance and was allocated toward that balance in a way that arguably wasn’t conducive to the righting of the ship going forward. Make no mistake (and my personal lot is with that other school too) but Beis Rivka is Crown Heights, everything else is boutique and when it comes down to it and only the I-work-hard-for-MY-money chazerim can send there kids to school we will all be in bad shape, because we are one people and one community. IY”H this needs to get worked out, but it’s all of our issue. This is utter nonsense. Can’t have a school where at most 30 percent pay full tuition. I pay full tuition and I could be getting a full time education anywhere in Brooklyn for the same price. Why should I stay? I work hard for my money. I am amazed on the off day I happen to be on Kingston and see so many people walking around. Don’t they work? Not talking about mothers w small kids. Bunch of lazies if you ask me. People ask me if I can help them find a job and when I tell them m-f 9-5 thr7 laugh in my face. Wait you have 9-5 monday through Friday jobs to hand out and people are laughing in your face…Sounds like fiction my friend. Aderaba, post an email address and watch your inbox explode. I work hard for my money, ich mein — bunch of lazies — why should I stay — you sound like a chazer. All parent of Bais Rivkah. We need to band together!! All parents should cancel they’re may checks, I guarantee that will wake up the administration. omg this never ends does it? So now the housband is “As a teacher” oy vey. And why would you want a “Mike” going around the room in a girls school? Perhaps we can arrange an education for the teachers too? Parents should be able to pay the teachers directly. The issue is with the disrespectful “humans” doing the registration. Have you ever been dealt in a respectable manner by these beasts? They show up Monday afternoon and leave early Thursday to beat the rush hour to their weekend retreats up state. These bullies don’t give a …. about chinuch or Rebbe, all they care about is the mighty American Dollar and how it can help them and their extended families. These ruthless p..s must go. It is time to put a stop to this thievery. And DON’T tell me that he helps the poor, because this same individual has thrown kids of poor families out of school for being behind in tuition. These 2 are ruthless when it comes to getting their money. They don’t care what you personal financial circumstances are. They either get their money or throw your kids out. No mercy by these individuals. No soul. I’m partners with a few serian Jews. When they put up a board each member is worth 100m+ some half billions. It was an utter joke to make a board of members that not one has 5M in cash. I too partnered with some wonderful young syrian jews. Are you aware that many hundred of syrian children are sent to public school each year? Most syrian school very openly tell the parents that if you can’t pay tuition you can send your child to put child to school. for all those that pay full tuition, why do you continue to send here? the education is sub-par, the school cannot hold onto good teachers, and the schedule is erratic. I’m genuinely curious, if you can afford it, why not send elsewhere? Why not go elsewhere? Cause I don’t feel like it! We want our girls to have a Lubavitch education. At this point, there’s no room in the other CH girls schools or for some, the hashkafas aren’t what we are looking for. My girls have had pretty much, terrific teachers, who work so hard. I pay a lot of tuition and my husband and I work full time to be able to do that. Our girls are happy in school, they have lots of friends, and they do not have a sub-par education. Many, many BR graduates go on to receive exceptional college degrees. It’s not so simple to say “send your child elsewhere”. My guess is you don’t live here and have never attended BR or sent girls here. People, be careful. Chachomim, hizahari bidivreichem. This is a mosad dear to everyone’s hearts. Our Rabeim founded it; some of us, our mothers, our daughters, got/get their Chassidishe education here. It is not perfect. It is not run well. The teachers do NOT get paid in a timely fashion, but they continue teaching there. Ever wonder why? And it’s not because they can’t get jobs elsewhere. No one in the know will tell you that Bais Rivka has sub standard teachers. The teachers continue teaching there, despite the messed up pay system, because it’s a holy mosad, and a zechus and source of brocha to be working there. Ask any teacher that works there. Yes, they want to get paid, and on time, but they won’t speak like some of the comments here are. So, what I’m trying to say here is: chachamim, hizaharu bidivreichem. It is hard times, but somehow, this too will get resolved.. But, we need to think how to speak, and how not to speak, and how to act, and how NOT to act. With wishes for all the best for everyone!! 5m?? Are you out of your mind? The board members make a good living but they can’t write a 200k check themselves. Your right it’s a big joke. if you’re asking for a break, then yes, they do get to ask you how you are spending your money. You sound like you think BR is a public school. All my daughters went to BR. Back 25 years ago, there were similar “Financial Crises'”. Maybe we should put it to a vote as to whether the school should stay open or not? You are partners with Syrian Jews but cannot even spell their title right. And to suggest you only go on the board based on your cash balance makes you out of touch with reality. The again, do you have 5m in the bank? Would you be willing to step up? If so I will find you some matching people. What in the world is a housband? There is no easy answer to this crisis yes, it is a serious crisis which will only get worse. There are no easy answers and no easy solutions. We must come together and each do our part to strengthen our schools. I’m just surprised parents haven’t formed some kind of union (not a legal one) and force the school to open their books. You cannot have a school without students, plain and simple. Good luck to all those parents who cannot go to work today because it just isn’t worth it for them to pay a sitter and work. Good luck to all the teachers who are now realizing that they may never get paid. For those who say that other schools don’t do this, it isn’t true. I know many teachers I’m bnos Menachem who have to beg for their check every month so they can pay their rent. Not once have they closed down trying to guilt an anash into giving them huge amounts of money, promising to pay their teachers, only to renege on the promise months later! I teach in one of the boys’ schools in CH and we get paid every 2 weeks. In fact, we will be getting pay checks any day this week, after being off for 2 weeks. It’s the same parent body making up all the schools, yet only BR has difficulty paying the teachers. Only BR has to cancel schoo, for the 3rd time this year. Get your act together! 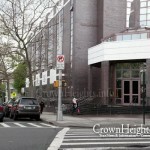 Next year I will enroll my daughter in tomer dvorah skver school in Boro Park. It’s a great school. All the girls have good midos and the faculty is very caring. Just make sure your daughter dose not have a cell phone before you send her there. 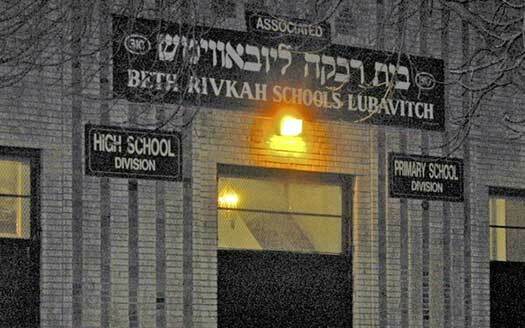 I find the situation with Bais rivkah upsetting, but on the flip side to that they have been extremely welcoming to my girls who switched from another school in crown heights who felt our family did not meet their expectations. I believe the Rebbe wanted Chabad schools to be open to accepting all Jews regardless of their practices at home. Bais rivkah is that, and I have no regrets being part of the Bais rivkah family. Do you know who the board members are?? I don’t think money is the issue!! I think they came in thinking they will have control and power to make change , seems like they never got that. How else to explain that a certain administrator discussing my personal situation at his Shabbos table in front of guest??? Where is the decency to keep people’s personal matters private? ?? How much longer should we be treated like sheep to the slaughter every time registration comes around??? How did these evil people get there in the first place??? Where is all the money from tuition to lunch programs? How is it that that they are the only employees in BR that live a life of luxury while the teachers who earn between $9K to $20K barley have money for rent??? Where is the outcry??? Which school in all of NY that has a starting salary at $9K??? How is it that OT, ULY and the rest of the schools in the neighborhood are paying their teachers while this one with the rich administrator seem to have lost the funds from tuition? ok, I agree that some of the girls were not respected, and were not given professional treatment But how is this financial situation possible? So many graduates for so many years. If enough people would have been happy with BR, then they would be making donations. This doesnt fit. Lets use our brain and figure out whats going on here. First and foremost the school and their puppets (here in these comments) that are blaming tuition, or the lack thereof, as the reason for all this calamity is a bold faced liar. The 990 shows that they collected in 2014 $7,335,447.00 in tuition. In this same 990 they claim to have 1,500~ students. Rough math says: $7,335,447 / 1,500 = 4890.29 per student. I challenge every parent to look through the 990 and question their findings… $15 MILLION in assets?! In addition to the salaries reported on this form, a few years ago someone supplied a link to the Head Start salaries of two of these people, noting that they each received another $90-120,000 from that organization!!! How many additional separate, concurrent salaries do they receive from each of the programs that they “administer”? I can think of several programs that likely include them as administrators: Lunch, after school, summer food service, etc. How can they begin to act fairly or reasonably in determining tuition or salaries for others as they eat with their golden spoons? Let’s not even include that little. private pre-school that lives off of Bais Rivka ……. I am beyond astonished and amazed by the number of people who really and truly do not know the facts ( although they think they do), who publically take the liberty of posting slander and lashon haraah about people they don’t even know. This has become a forum for fools and clowns ( and folks with a lot of disposible time on their hands) who really think they know what they are talking about. Unfortunately, they don’t. But, they will post anything about anybody to convince readers that they do. Where are the Torah values? Maybe the disposable time is because we have to take time off from work, and hurt our parnassah in the process while our daughters are home, during this “crisis” … I won’t bash, because nothing good will come from it. but many people write here “I’m just about fed up …” I guess until parents are all the way fed up, nothing will change. One thing is certain. This is not professional, and it sends a terrible message to our daughters. Nothing is more important than them being in school, learning now. Every moment they are home doing nothing is a moment someone needs to answer for. This is the only school that has this 3 time annual crisis. Something is broken. We need a lasting solution. The Rebbe would always call yidden fools and clowns so I know where you learned this shprach du menuval. Ironic. Your comment, that is. You are in the know right, so why don’t you enlighten your inferior brethren du chazer du. For better or for worse, the public has been given a voice and when tragedy strikes at our institutions, people speak out. Sentient beings try to make sense of the chaos and it is the new responsibility of those in the know to enlighten those that are not. Stop whining that people come to the best conclusions possible given the data regarding issue that affect them — you are not superior. Are you baki beshas or a oiven hashem beahava veyira, no? Your just a heel like the rest of us unwashed masses, so get over yourself, chazer. I seriously don’t understand how parents could openly bash the school you send your children to? If it’s really bad there are always options you might just actually need to commute like most out of towners do. Time and time again I see many negative articles written about this school with an enormous amount of negative comments. If you don’t like it be active and leave the school. By doing nothing your showing your children that their education is not worth the effort and it’s easier to bash administration. My friends post so many negative things on fb about br it’s so embarrassing. How will your children ever respect or take pride in their education when their parents don’t. I once lived in a small town with a modernish school, since that didn’t suffice we got together and made our own school and ppl volunteered their houses and local business pitched in to use as makeshift classrooms. 7 years later with plenty of hard work and sacrifice they have a building. Action is required stop complaining!!!! Is tuition out in the open, does every family pay the same amount or is it a case by case basis? You spend a tremendous amount of money (or perhaps don’t even pay) for every single Siyum Sefer Torah every time Ronni Perlman shows up (or its the same recycled Sefer Torah). You announced on Yud Alef Nissan that you have APPROVED FUNDING for a brand new project for Aguch to pay for people to travel the entire planet earth to met every single Yid in Shnas Hakal (obviously this project began already). So, what is the deal with Bais Rivkah?! ever heard the saying “2 wrongs don’t make a right”? as for paying, did you speak to the admin first or have to kosher eidim testify? otherwise you must go to them first before badmouthing so learn yyour halachos. I plan on winning the lottery Wednesday night. So after I collect my check you can count on me and my maaser money to help bail the school out of its financial problems, pay all the teachers, and fund additional tutoring and after school programs for those who want. IS THERE SCHOOL TOMORROW (TUESDAY)??? This has been going on for decades, since my daughters were young. I taught in BR & it was no better then and as it is the same players, why do you think it will be any different? The real problem is apathy. You parents would rather vent here than DO something to change the situation. If I were a parent today, I would a) look for another school or b) start my own. Hey, it can’t be any worse than BR. Here’s a thought…. where is the Board of Ed in all this? Why isn’t the Chancellor demanding answers? There is a law that schools have to provide education, so how come this is happening? I don’t get it. Don’t they teach math in BR? Here is what BR filed with the government in a form 990 http://990s.foundationcenter.org/990_pdf_archive/112/112163504/112163504_201408_990.pdf which says that total income was $13,986,009 and that total expenses are $13,944,739 which gives BR a revenue surplus of $41,270 so how is it that teachers didn’t get paid? In any case, how much bigger is BR’s budget over OT? OT salaries are at least double to BR’s (men vs. women teachers, wink wink), and OT budget claims to be the same as BR’s, so why can OT pay their teachers and BR never manages? I’m also curious how much the administrator in OT gets paid vs the administrators of BR. Additionally it is well known that the administrator of OT does not rest from 6 AM to 1 AM to meet his budget vs the administrators of BR who are always relaxed as if they have no worries. Furthermore, OT has several fundraisers a year, like dinners, raffles, Chinese auction, Shalach Monos, and several small affairs during the year, they also have constant publicity about individuals who keep donating for this project and the other vs BR which has one “shutaf” who doesn’t manage to give much except to the UJA and who knows who else except BR. And I’m not bringing up the charidy campaign of OT 3 million vs BR only 1 million. Bottom line, the numbers just scream out that something is terribly wrong, and as Mr. Eliezer likes to point out “we just don’t know everything”, so why don’t those in the know enlighten us please. How is it that with a supposed surplus of close to $50,000 the teachers still don’t get their due pay? we need you to help beis rivkah! I believe the point about the board members not being wealthy is Key. When Board members are worth tens of millions they can put together funds NOT only from themselves (which is what they do!) but they also have other alliances that want to help. for example a Syrian Jew that sells Tee-Shirts to Walmart and Kmart and target calls his transportation company that does 17m a year off his tee shirts and says hey why not help my cause?! or the company that produces the Shirts 40M a year in trade etc etc YET BR makes a board of individuals that don’t have those kind of enterprises CAN NOT produce these kind of results!! hence the NO TEACHERS getting PAID! I think you should apologize for attacking like that. And by the way, why would BR lie that they got a million dollars? Especially an exact number of 1.06? I can vouch that BR did acquire the money but it GOT USED UP! They need way more than 1 million dollars to pay all their teachers! If you have any issue that you would like to discuss in a solution-oriented way, please feel free to contact me personally. I will, bli neder, not respond to any anonymous comments. I wonder if this “financial crisis issue” is common to other institutions. When I used to live in New England, the Hebrew Academy (Chabad) had financial issue on a consistent basis so they could not pay bills, hire super teachers. It was traced to the head administrator who was an incompetent manager and knew nothing about teaching or what should be taught. When complaints about children not learning properly or what they should have learned, the answer in Boston was always “Your kid has learning issues and problems.” However, the conservative school and the modern Orthodox school were top of the line. Response of of the New England Hebrew Academy was they were picking on us because we are Lubavitch. Is this a common issue with numerous Chabad teaching institutions? When I used to live in New England, the Yeshiva was always in trouble, but the issue was the head administer who was incompetent administrator and did not know his head from a whole in the ground when it came to education. When parents complained, the answer received was that their child has “learning issues and problems.” Yet, the modern Orthodox school and the Conservative one were top of the line in educating thjeir students; the response of New England Hebrew Academy about their inadequate end results was that everyone was picking on us because be are Lubavitch. And, the New England Hebrew Academy refused advise from top of the line educators to assist them. Same b.s. in all chabad schools…no money no money…however everyone finds money and time to vacation…we need the rebbe. Stop using him as a excuse, crutch and do what people world wide do. I love the Rebbe but I don’t expect him to pay my Amex bill. Another point to consider; as rents and mortgages rise more young people leave CH; as more young people leave CH there are less kids in the schools; as there are less kids in the schools tuition prices rise. If they couldn’t have school on Monday because of a “financial crisis”, how are they able to open school on Tuesday? i do not send my girls to BR presently. Prediction: Nothing changes, until there’s a real revolt. Maybe you should be proactive in explaining to people what’s going on, rather than treat everyone like baby’s who aren’t smart enough to understand everything, but you are doing everyone a big favor by answering them if they ask nicely.